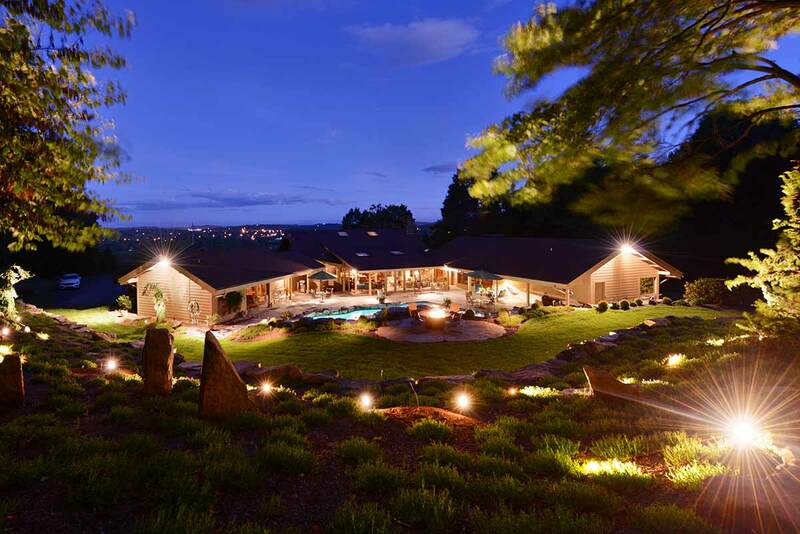 Landscape lighting is one of Eathadelic's specialties. 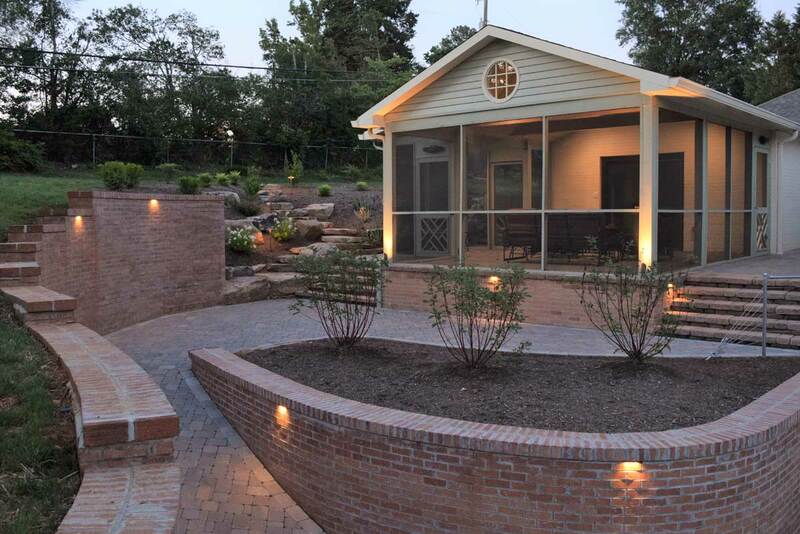 We can help bring new life to your yard with the addition of spot lights, uplights, path lights, and more! 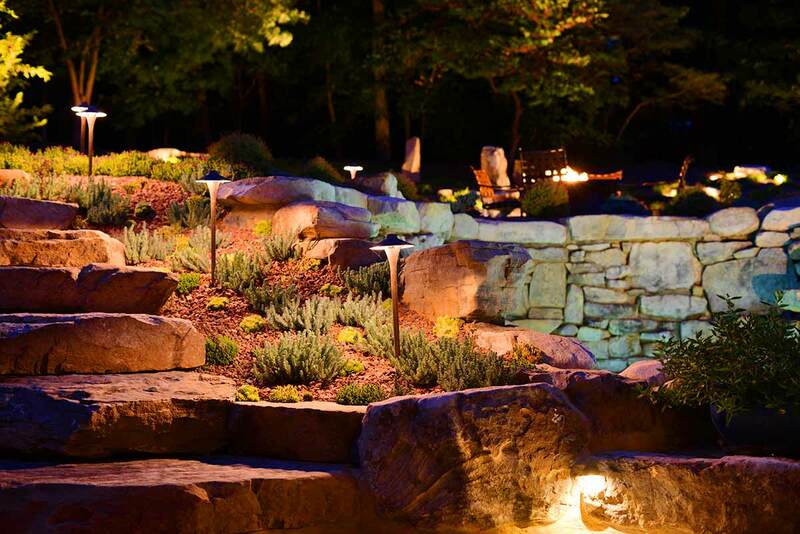 Low-voltage landscape lighting technology has revolutionized the way lighting is used in the garden, allowing for more design flexibility and easier installation. 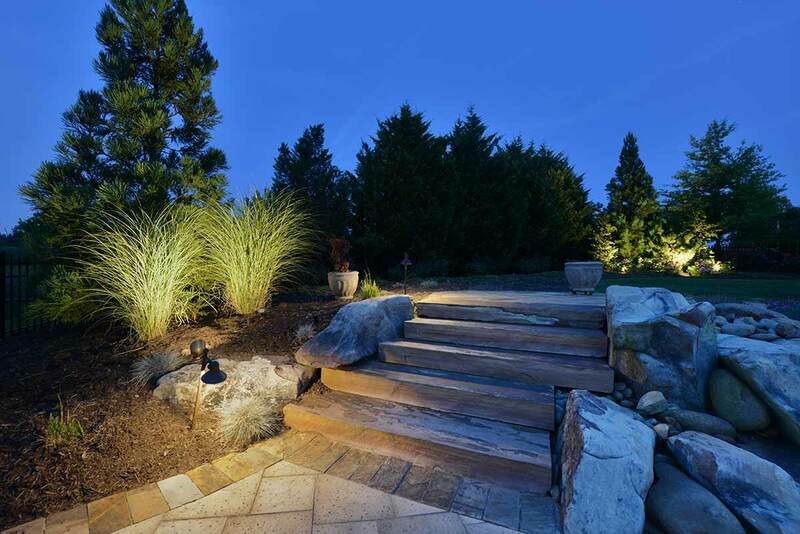 A successful outdoor lighting scenario will involve the use of different types of lights, and even different types of light sources. 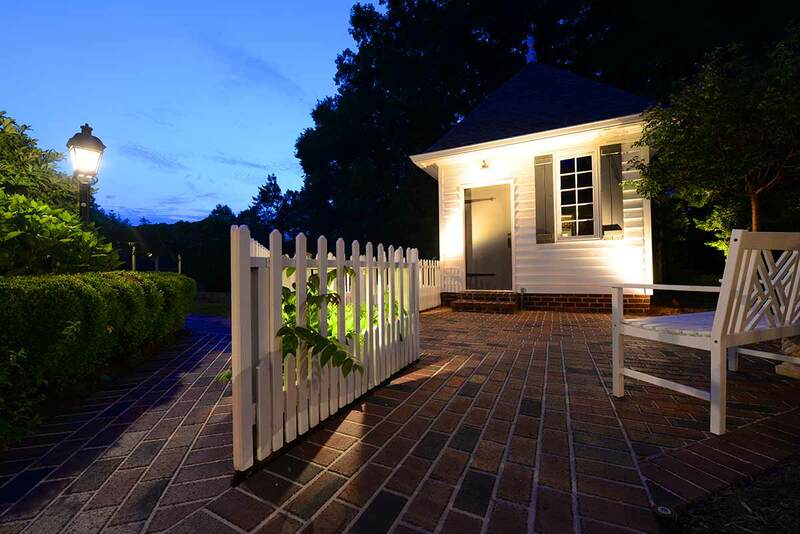 Gas lanterns add instant old world charm to any landscape, while solar powered lighting is a great way to keep things as minimalist as possible. 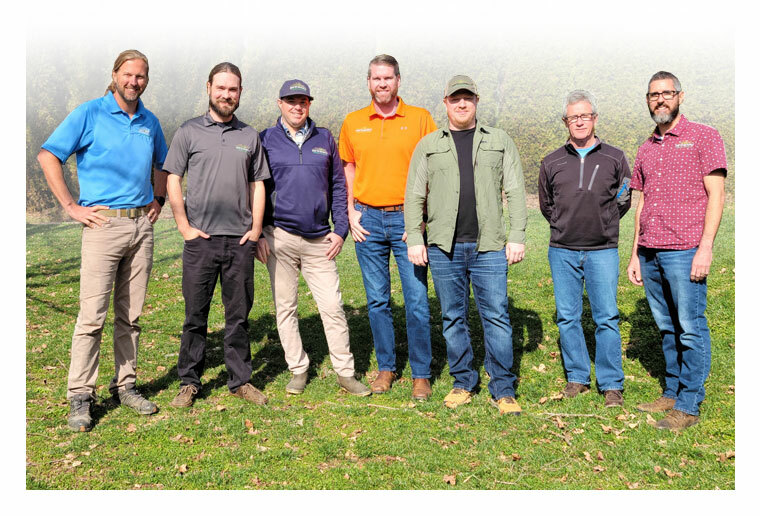 Our landscape design experts will talk you through your options. 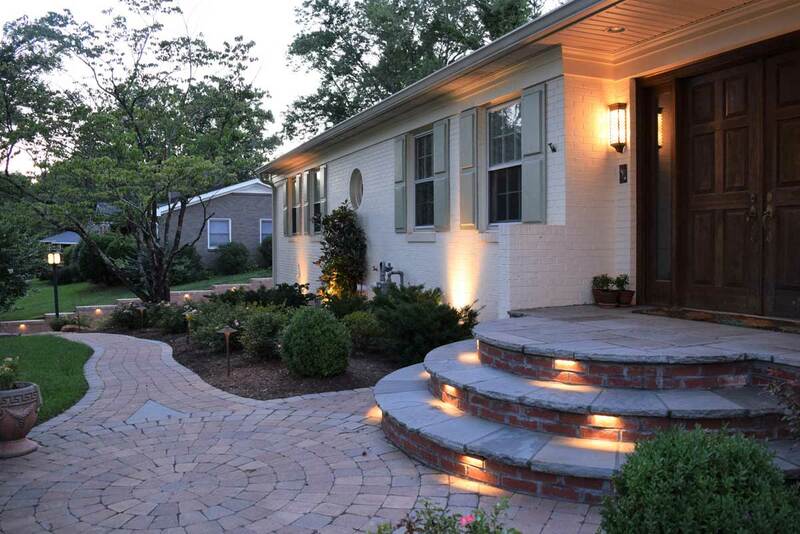 Solar powered landscape lights allow for fast and easy installation. 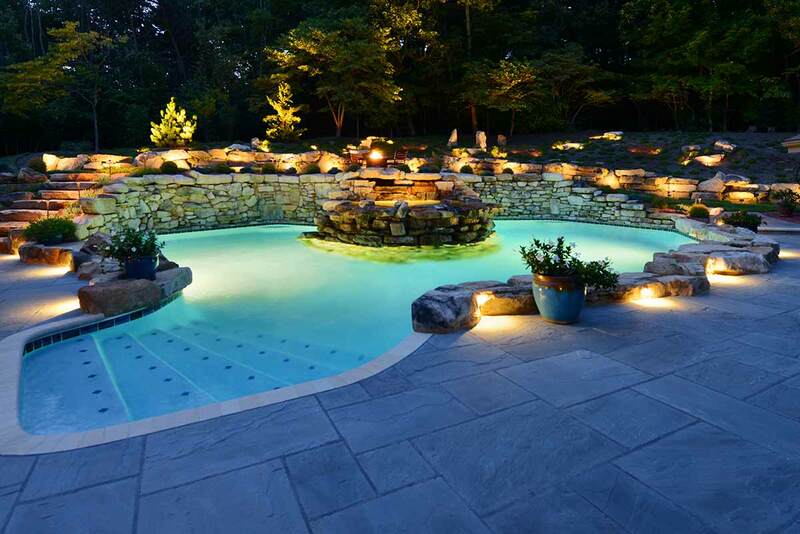 The lights activate every evening at dusk and do not require any hardwiring. 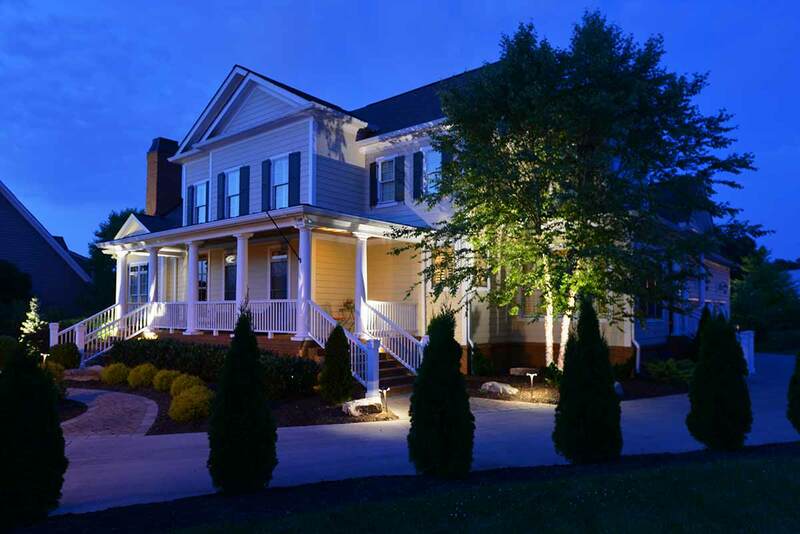 Low voltage lighting in the landscape allows for faster installation times, lower powerconsumption, and are much safer for homes with small children. 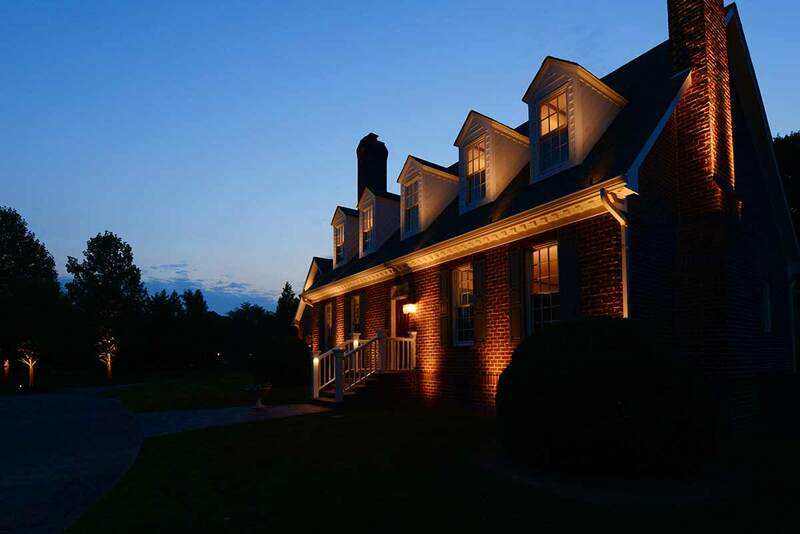 In certain situations, it may make sense to use standard voltage outdoor lighting due to existing connections, but LED bulbs can still be utilized. 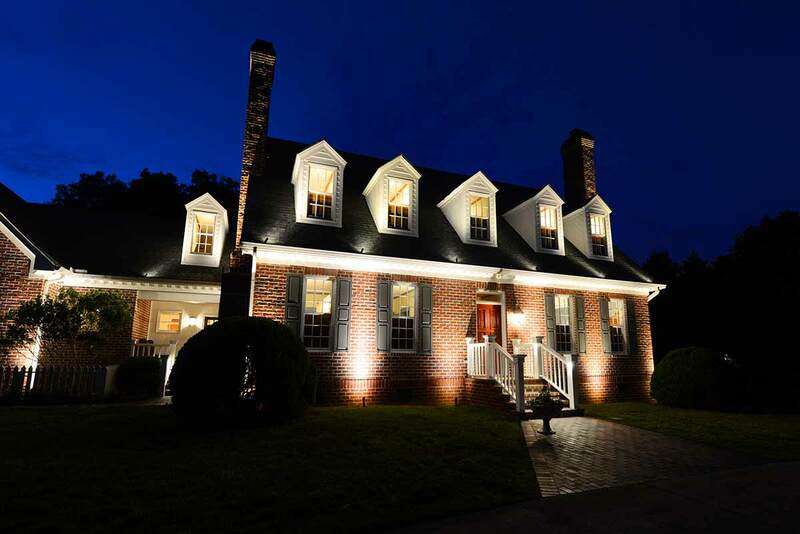 LED bulbs provide more light with dramatically less power consumption compared to standard voltage bulbs. There are many color choices for just the right glow. 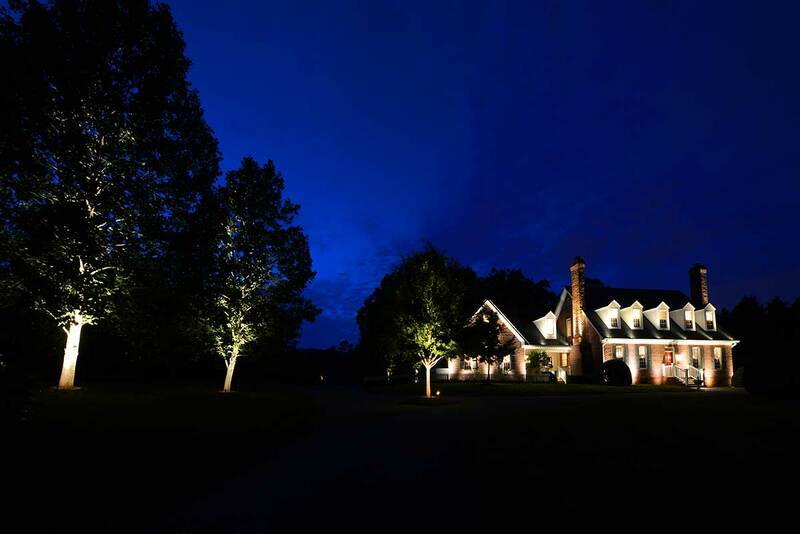 Your outdoor lighting sequence can now be controlled with your phone, tablet, or be integrated with an existing lighting control system. 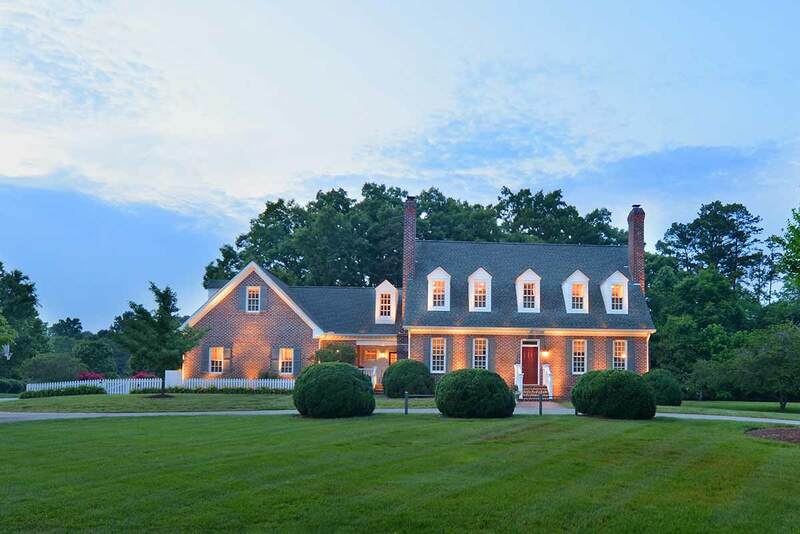 Gas lanterns are a wonderful way to add drama and old world charm to your landscape. 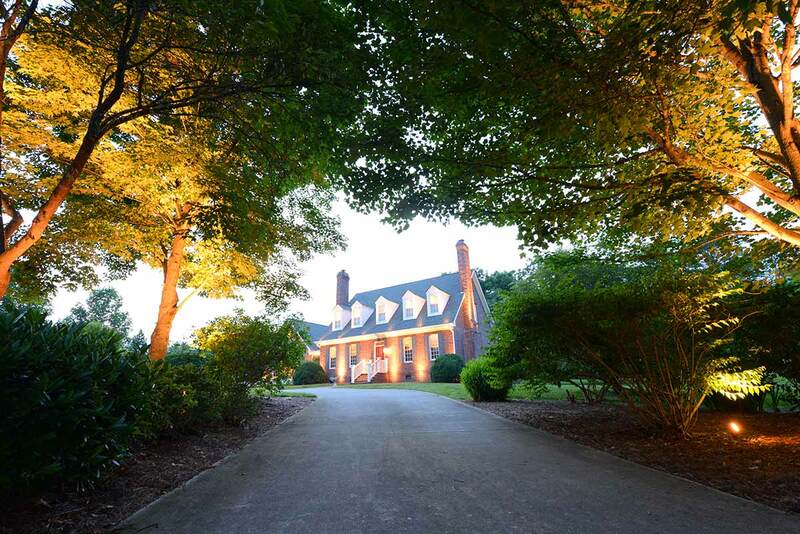 While expensive, the ambiance created is unrivaled.